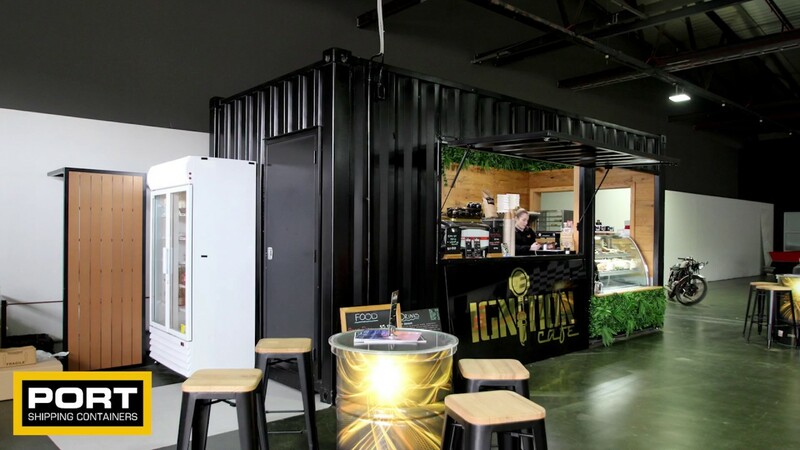 A shipping container cafe or ‘Pop Up Cafe’ is a great way to make your business stand out from the competition. If we’re honest with ourselves, not many people can start their day without a skinny latte or a long black, and meeting for a coffee has become so much a part of the Australian culture that it’s hard to imagine how we socialised before it became so popular! Some of the most successful cafes are tiny start-ups with little more than a good coffee machine, a great barista and a cafe. Unfortunately though, building and rental costs can really bite into a small business’ profits…even a tiny hole in the wall cafe needs to pump out a lot of cappuccinos or short blacks before it can cover the rent. 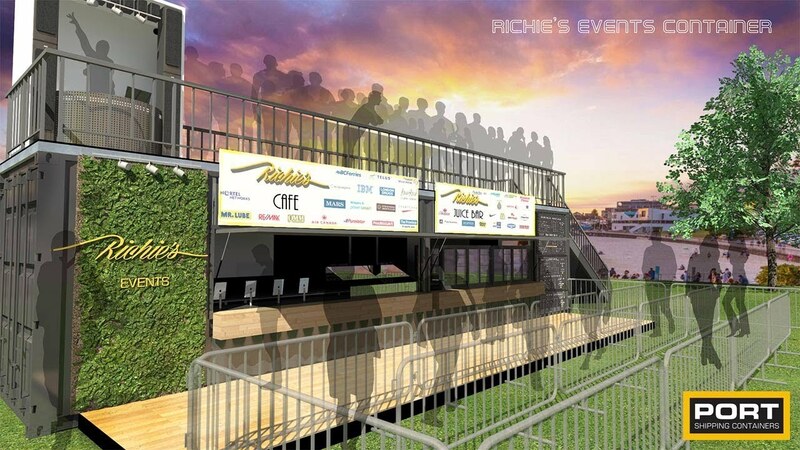 And that’s where the shipping container cafe comes into play! 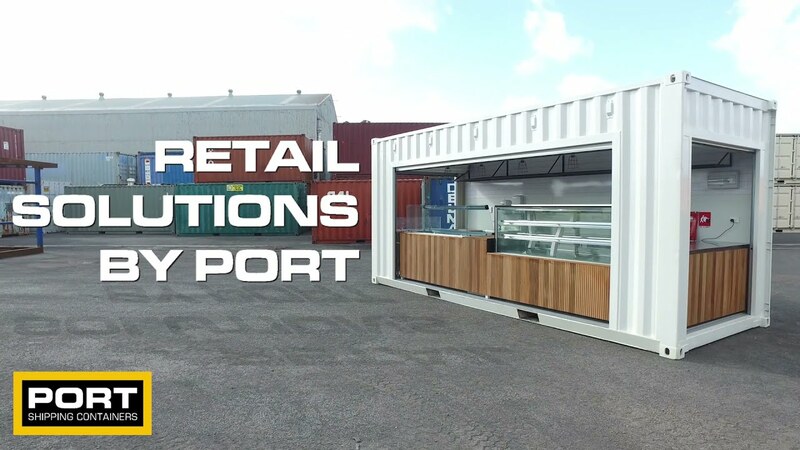 Here at Port Shipping Containers, we’re very familiar with the concept of a shipping container cafe or ‘pop up cafes’, because we’ve often supplied the containers that are used to create them. We don’t just sell shipping containers either. 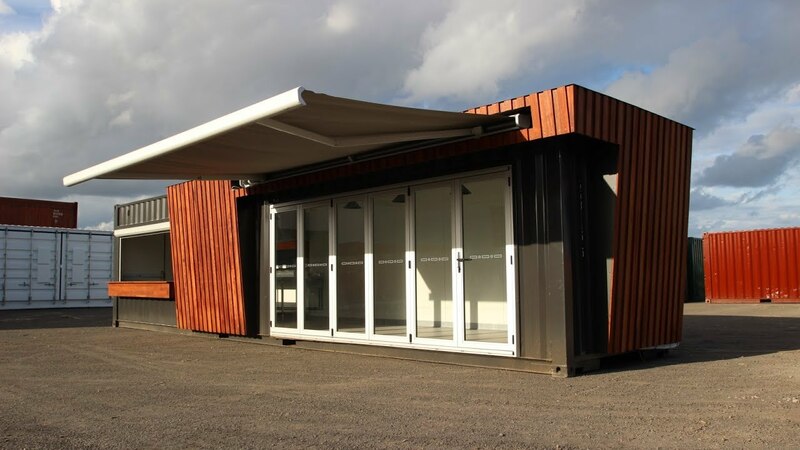 We have one of the biggest container modification facilities in Australia, and we specialise in converting containers into all sorts of amazing structures, including accommodation, workshops, portable galleries, trade show exhibition, shipping container homes and yes: shipping container bars, restaurants and cafes. 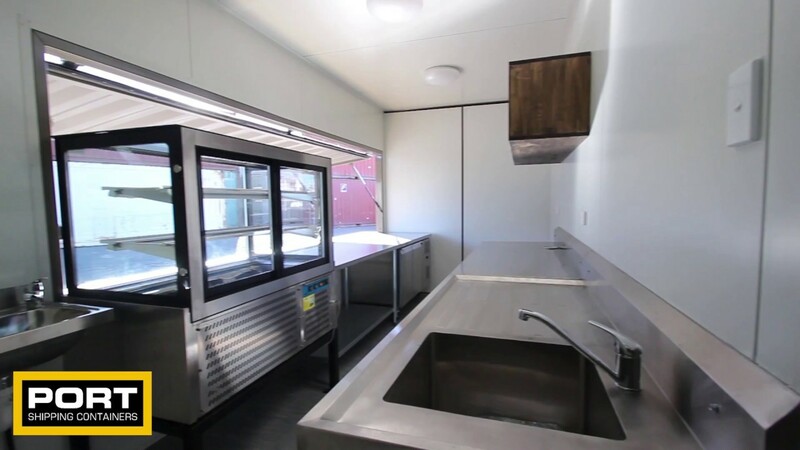 Take a look at our special projects page, and you’ll see some great container conversions, including the Six Shooter – High Calibre Coffee shipping container cafe at Menai, and The Depot bar and restaurant in Newcastle. For a Quote CALL 1300 793 668 or fill out the Quote Form above. The compact size of a shipping container cafe makes it a prime candidate for a start-up cafe, because you don’t need much room to set up. A corner of land in a car park, a spot on a marina, a market, a dog park, the beach, a vacant block of land or a building site that won’t start construction for a few years are all top spots for a pop up cafe. When the approvals to build come through, the café can be simply shipped somewhere else. Many shipping container cafés are actually built as permanent structures as well, simply because the construction costs are so much cheaper (and they also look great). Everybody loves the convenience of a Pop up Cafe. Not surprisingly entrepreneurial want-to-be cafe owners are looking at doing things a little differently (and more cost effectively) – including converting shipping containers into pop-up cafes. Not only is a shipping container cafe cheap, environmentally friendly, and portable, it’s really, really cool. Industrial chic and coffee go fabulously well together – ask any cafe owner. 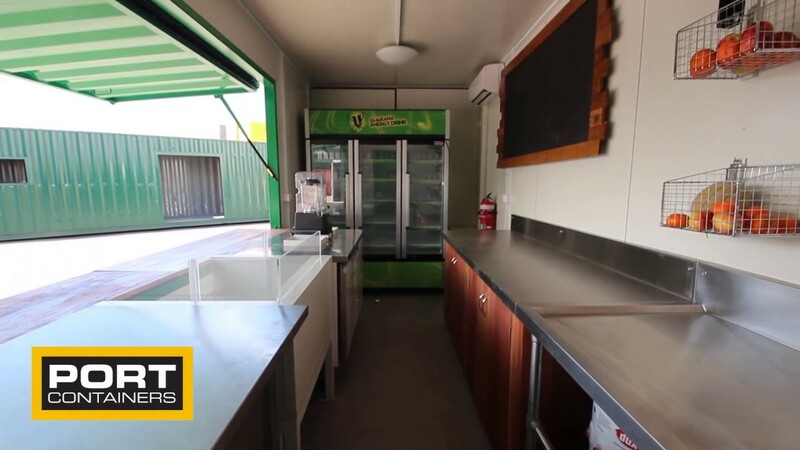 You can expect to see a lot more of super-cool shipping container cafes too; the next contestants on Channel Seven’s Restaurant Revolution will be converting shipping containers into – you guessed it – a shipping container cafe! In fact if you’re thinking of starting a shipping container yourself, you might like to get in early before the demand outstrips supply. We have a great range of used containers available for your shipping container project but we suspect they will become very popular after the show airs. If you’re a business or a club looking to bring in an extra income stream, a shipping container cafe can be a really profitable addition to your business. You don’t even have to run it yourself. You could set up the café on your property, then rent it out to a barista or two keen to start their own business without the high costs. It’s a win-win situation – and can be set up quickly and easily. Take a look around your business. Are your staff driving out to get good coffee? Could something as small as the availability of good coffee make your customers choose you over someone else? 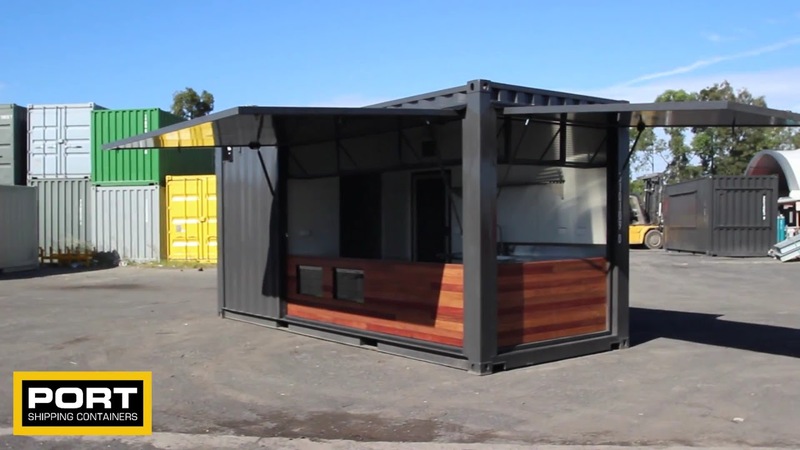 Is there room for a profitable shipping container cafe on your property? It’s definitely worth considering. Decided a Shipping Container Cafe Is Just Right For You? Great, let the experts help! At Port Shipping Containers, we’ve been selling and converting shipping containers for over 10 years. 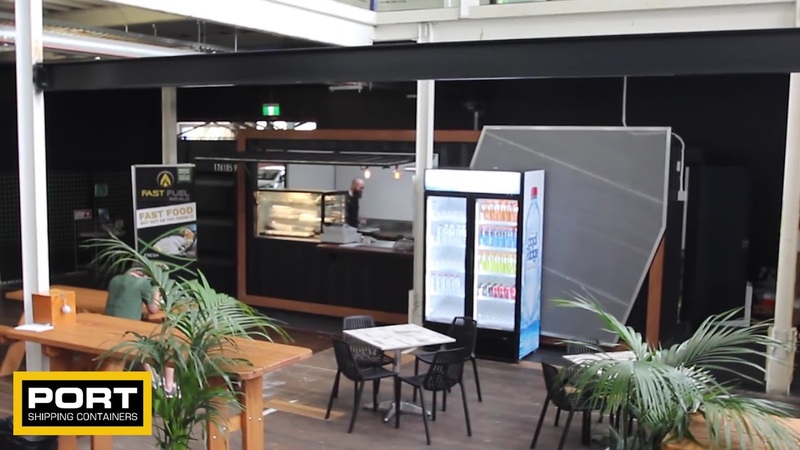 So if you’re thinking of converting a shipping container into a fantastic cafe, give us a call on 1300 957 709. Whether you’re buying a container to convert yourself, or want us to do it for you, we can help turn your cafe dream into a cool cafe reality.